Great Airfares to Mexico! Join My Yoga Retreat in Late April! It’s not too late to join my lovely yoga retreat on April 25 to May 2 at the spectacular Xinalani Yoga Resort outside of Puerto Vallarta, Mexico. Airfare to Mexico is unbelievably low right now – and the rates for this all-inclusive vacation are very reasonable. There are plenty of shared rooms left – but only a handful of private rooms. Please be sure to let me know if you are considering this trip so I can reserve a spot for you. Download my 24 page PDF with details about this fantastic yoga adventure here. Also, see an extensive photo library, FAQ’s and basic information on my website here. Soothe your body, mind and soul in paradise. Join Me In Paradise! 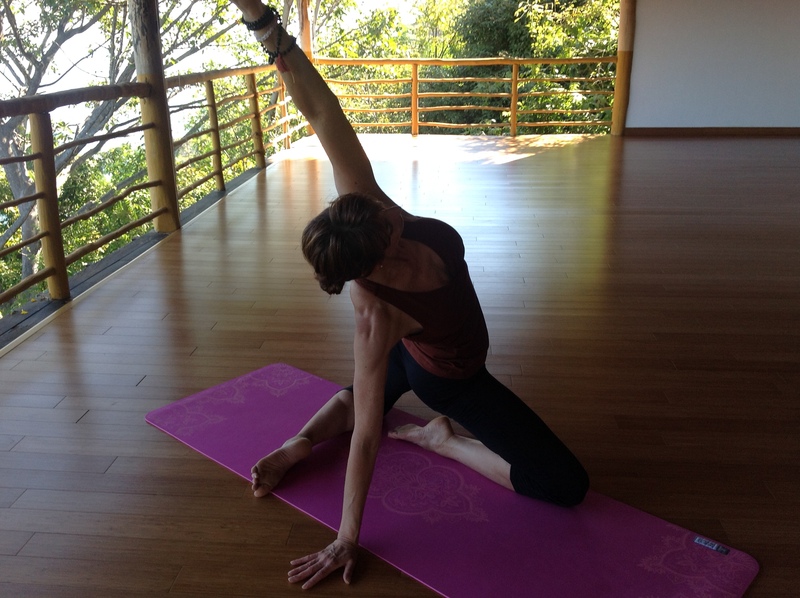 Mexico Yoga Retreat April 25-May 2, 2015! It’s not too late to join me, yoga friends, for my 7 night/8 day yoga retreat in paradise on April 25-May 2, 2015. But do let me know ASAP if you want to join my fab trip! This retreat will rejuvenate your body, mind and spirit. 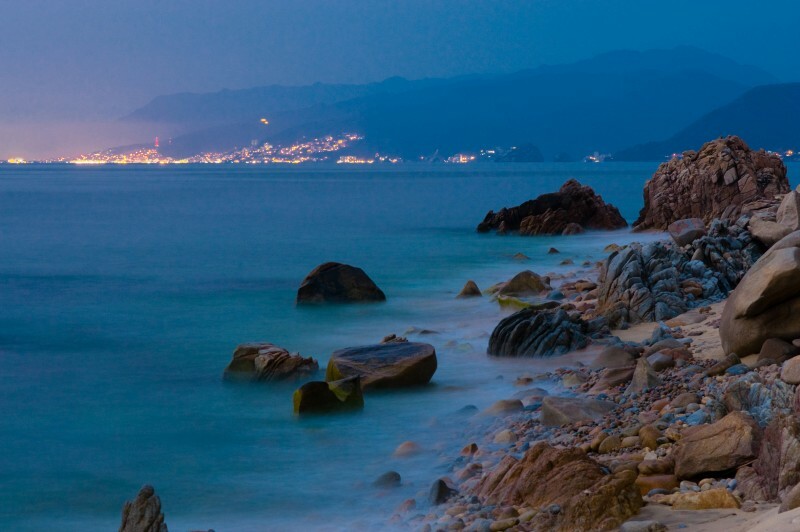 Held at the luxurious Xinalani Retreat Center located on the south shore of Banderas Bay, near Puerto Vallarta, Mexico. Xinalani is built on the unspoiled jungle with a beautiful, pristine beach. It’s only accessible by boat, so be prepared to get your feet wet as you step out of the boat and onto this secluded, private resort. We’ve made travel super easy. We will meet at the Puerto Vallarta airport and will have a private shuttle take us directly to the dock and then take a private boat ride to Xinalani. The resort is 12 miles south of Puerto Vallarta Airport. Important for us yogis, this resort is eco-chic – meaning that it combines luxury with the most thoughtful care for the environment. Our yoga retreat, Yoga in Paradise with Suzanne Morgan, will focus on incorporating the wisdom and beauty of nature to lead us to better health, prosperity and peace of mind. ** The prices listed below INCLUDE three meals a day at Xinalani, transfer to and from the airport, PLUS taxes! All pricing in USD. 7 nights of accommodation at the gorgeous Xinalani Retreat Center; 8 days of great relaxing fun. All rooms are ocean-front and open-air. It’s stunning! Not included: Airfare to and from the retreat, extra excursions (whale watching! swimming with dolphins! shopping in small, sweet Mexican towns! ), alcoholic drinks, spa treatments and hotel gratuities. To see the main page of information, complete pricing and information on making a deposit to secure your spot, click here. To get tons of details about the trip, go here. To see the slideshow pictures of this stunning resort, go here. Join me for a trip of a lifetime!